This Wireless Smart Scale from BlueAnatomy provides precise measurement for weight, body fat, current hydration level, bone level, and muscle mass percentages, as well as overall body mass index readings. The scale uses Bluetooh technology to communicate directly with your iOS or Android mobile device, using the free BlueAnatomy app. Forget the hassle of a computer or a shaky WiFi connection! Use the helpful weight tracking app to chart your weekly and monthly progress. Take the guesswork out of fitness, to see what works and what doesn't. Blue Anatomy's smart scale gives you all the reporting and tracking capabilities you need to help reach your weigh loss goals. 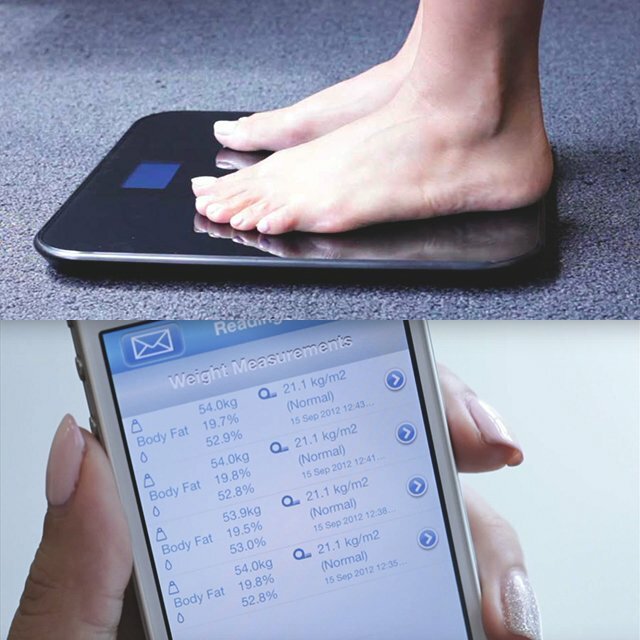 The wireless scale is perfect for the entire family, allowing unlimited connections of users pairing with the device. The high quality tempered glass surface allows for weights up to 396 pounds. Includes 1 year warranty and no questions asked money-back guarantee from BlueAnatomy. The wireless smart scale measures 12.6 inches by 12.6 inches by 1 inch.